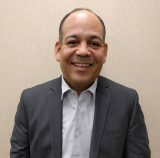 Orlando Villalonga serves as the Director of People and Culture for Alcott HR. Orlando, who is bilingual, oversees the human resources department as well as the interactions between the various departments in Alcott’s offices. He is responsible for ensuring effective delivery of Alcott’s premier client experience. Orlando also supervises the vendors that deliver services to Alcott HR’s clients and their employees. Orlando came to Alcott HR with many years of experience providing Human Resources best practices advice, compliance support, employee relations management & training, client relations oversight and claims supervision. Immediately preceding Orlando joining the Alcott HR Family, he had spent a decade in the Human Resources Outsourcing (HRO) industry with a heavy focus in the professional employer organization (PEO), administrative services organization (ASO), HR consulting and payroll service model.